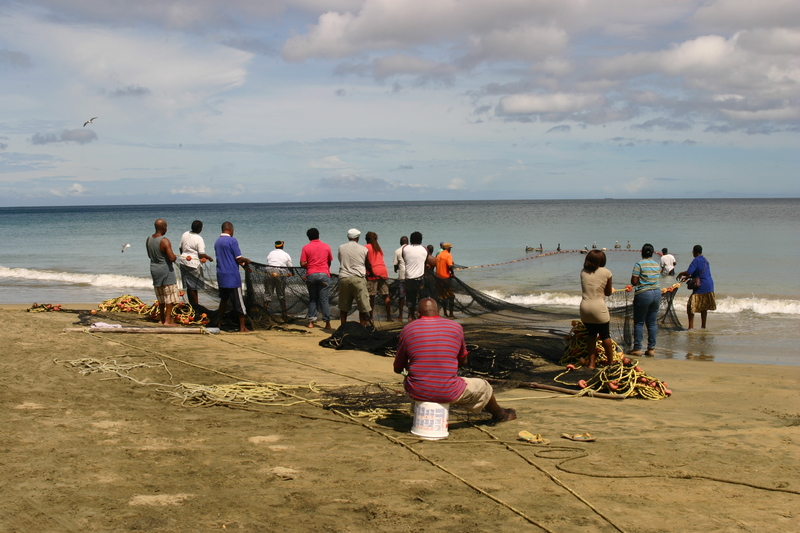 Tobago is world famous for good fishing. Especially the big game fishing is mentioned in fishing magazines. 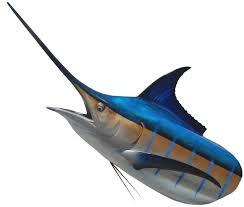 Not the least because it's one of these rare places where blue marlins are caught. Tobago offers a lot more than that though. Regular fishing with a rod - or just a line on a reel - from a jetty is already good for a day of fun. Locals will be glad to offer you advice on which bait to use and what not to use, and the views are already worth the effort. 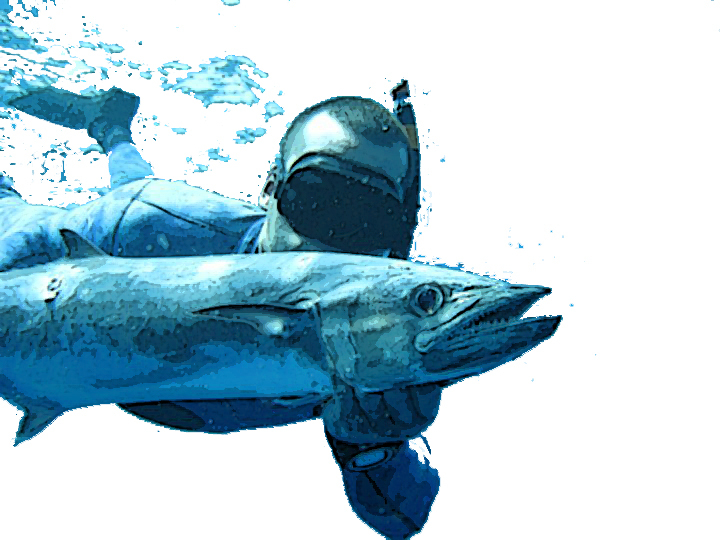 Spearfishing is a next option if you feel for a bit more excitement. Last but not least you can even join local fishermen who are pulling in their seine. No equipment needed for this, just getting up early enough to make it to the fishing (Black Rock and Castara are the best places for this). Next to the big game fish like blue marlin, kingfish, tuna, sailfish, dolphin (no this is not a real dolphin but the local name for mahi-mahi) and groupers it has species like manta ray and even whale sharks. Of course the later are not species to fish for but to give an idea what's out there. For a list of species that's good for fishing visit fishingtnt.com. The fanatic anglers will look for the special fish charters of which Tobago has a few. The equipment is there and this is typical big game fishing. If your budget is smaller or you prefer a more authentic experience, just go to one of the beaches were fishermen come ashore and arrange your own trip. Go along for the ride (either drifting, pulling pots, or a lot of fun: catching flying fish), or ask for a trip. You will experience how fish is caught without rods and just a line. Most likely your catch will be as good as on a charter with the exception that you won't catch the rare blue marlin...... You can ask anywhere were fish comes ashore, but Charlotteville is of course one of the best spots. Not just because of the fish (which tend to be bigger on the east sided of Tobago), but also because your trip might pass by London Bridge and St. Giles. Even without catching fish a pleasant trip ! Fishing from beach, rock or most convenient a jetty is possible at a lot of places. Some of the best are Parlatuvier and again Charlotteville, since these jetty's are well positioned for fishing. If you can get hold of some Bonito, this is really the best bait to use for line fishing. A plastic hand reel is normally enough to start catching fish and most shops next to jetty's (and hardware stores) sell everything you need. Tidal tables (Scarborough Tobago) and more fishing related information for the tech savvy anglers.